Sticky rice is the main binder in sushi rolls. 3 Does Rice Taste Different Depending on How You Cook It? Sticky rice is also known as glutinous rice or sweet rice. Its white grains are opaque when dry and they stick together when they are cooked. The rice grown on hillsides and high plateaus is a main meal ingredient in Thailand and other Asian countries. Because sticky rice is traditionally eaten by hand, it's a fun introduction to Asian cooking for your children. Both long-grain and short-grain types of sticky rice are available. Residents of Thailand prefer the long-grain variety, while the short-grained type is popular in China and Japan. Some of the long-grain types have fragrant properties, much like non-sticky jasmine rice. The short-grain variety is most common in North American markets. The starch content is so high in sticky rice that boiling it converts it to a gooey mass. 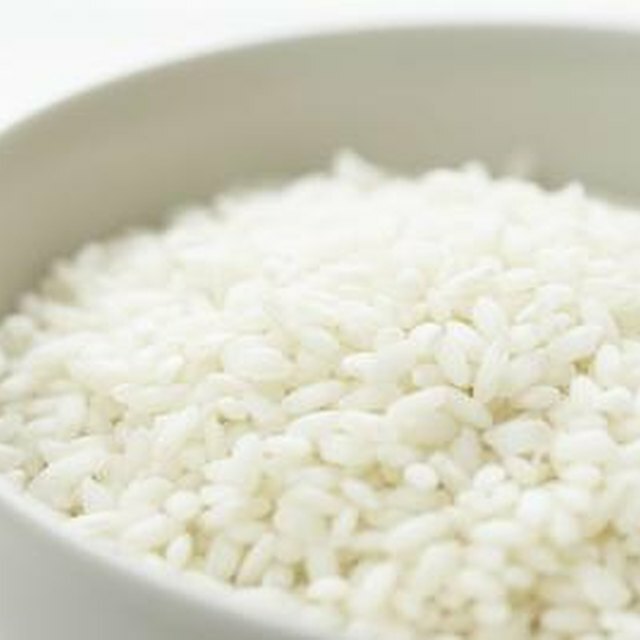 Instead of boiling the dried grains in water, soak the sticky rice for four hours or more in water. Drain off the water and steam the rice in a traditional woven bamboo steamer basket or a vegetable steamer. If done properly, the rice becomes translucent and sticks to itself, but not to the hands. You can find traditional sticky rice-steamer baskets at Asian markets and online shops. Sticky rice is often served with savory entree dishes. Typically, A small amount of sticky rice is placed on the table. Each diner pulls off a small amount of cooked sticky rice with his fingers and rolls it into a ball. Then he dips the ball into a spicy sauce before eating the flavored rice with his fingers. Provide small bits of cooked chicken or beef to press into the rice ball. To end a meal, the last bit of sticky rice is rolled in the hands and used to soak up the remaining sauce. Practically any main dish goes well with sticky rice as an accompaniment. Sticky rice is a main component of desserts as well, including favorites like Thai fermented sweet rice, Thai bananas in sticky rice, and Thai sticky rice steeped in coconut milk. Sticky rice in desserts is often sweetened and combined with coconut milk for extra flavor. During harvest season, sticky rice is combined with mangoes for a popular treat in Thailand. Create an Americanized version of a Thai dessert by combining sticky rice, raisins and cream and dusting it with cinnamon.